Traditional oils, wonderful as they are, take a very long time to dry. 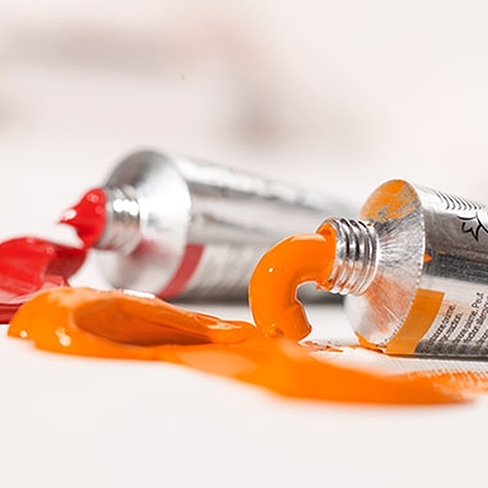 That’s why we created our Griffin Alkyds – they dry much more quickly and this means impasto and glazing techniques can be done in a single session. We’ve created 48 tones and these have a slightly greater level of transparency for increased depth and clarity when glazing. Our Griffins are a bit more fluid in consistency than tranditional oils and they dry with a somewhat more reflective surface, too.